Their Instagram posts are adorable. 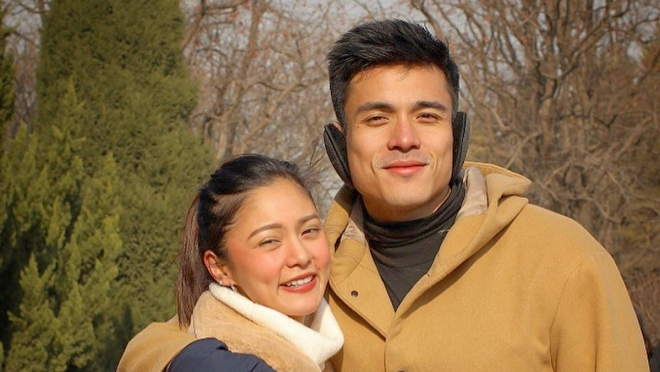 Kim Chiu and Xian Lim are spending some quality time together in China. Kim first posted a photo in Shanghai last December 29, 2018. "Off to another adventure," says a very excited Kim in her Instagram Stories. An impromptu history class at the Terracotta Warriors Museum in Shaanxi and Saint Sophia Cathedral? Why not! While city-hopping may seem tiresome, Xian considers this break as a "time to relax" to get his "mind, body, and soul ready for 2019!!!" We can only guess why Xian’s relaxed. He posted, "Loving you, is such an easy thing to do...@chinitaprincess"
As if we haven't already fallen for this adorable couple, Kim posted a vlog montage set against the song "Shutterbug." They're just so naturally chill around each other, and so cute together!